The evidence that President Trump has acted as an agent of the Russians — either wittingly or unwittingly — is overwhelming. Donald Trump may or not be on the Russian government’s payroll. He may or may not have been blackmailed by Russia’s president, Vladimir Putin. He may or may not have actively colluded with Russia during the 2016 campaign. But there’s one thing we know for sure: Donald Trump has been compromised by Russia. Every day that he remains president will mean that he is putting Russia’s interests ahead of America’s. Congress should set aside their qualms about subpoenaing translators. 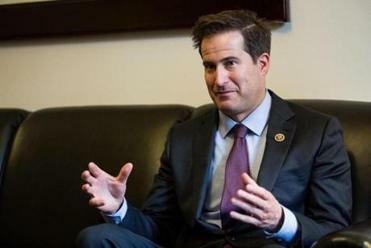 US Representative Seth Moulton would support such a move, and there’s a reason for it. Both stories are, of course, blockbusters — but they aren’t all that surprising. The evidence that Trump has acted as an agent of the Russians — either wittingly or unwittingly — is overwhelming. We can start with the 2016 presidential campaign in which Trump not only refused to criticize Russia or Putin directly, but also openly and publicly asked for their assistance in finding Hillary Clinton’s missing e-mails. There is also the Trump Tower meeting with Donald Trump Jr., the dalliance with WikiLeaks, and the 101 contacts between Trump’s campaign team and individuals linked to Russia. But perhaps even more telling is Trump’s consistent refusal to acknowledge Russia’s efforts to interfere in the 2016 election — which of course continues to this day. As president there has been his repeated refusal to fully impose congressionally mandated sanctions on Russia – sanctions that his administration opposed. There’s the repeated turning of a blind eye to Russia’s actions toward its neighbors, as well as its human rights abuses. There are Trump’s persistent attacks on NATO and criticisms of the European Union (the destabilization of both organizaitions being a key policy objective of Putin’s), and his cozying up to Putin at their summer summit in Helsinki. In recent weeks, there’s also been Trump’s bizarre parroting of Soviet-era rhetoric defending that country’s decision to invade Afghanistan four decades ago. Above all, there are the persistent efforts to impede or obstruct the Mueller investigation into Russia’s interference in the 2016 election — and his continued refusal to hold Moscow accountable for their actions during the campaign. Indeed, it’s hard to come up with any innocent explanation for Trump’s behavior to Russia. In fact, in light of Trump’s actions and statements over the past two years, it would perhaps be more surprising if the FBI and now special counsel Robert Mueller were not looking into this question of Trump’s ultimate loyalty. But of course, the connection doesn’t need to be that straightforward — and it seems perhaps most unlikely of all that Trump would be working directly for the Russian government. Maybe he is financially reliant on the Russians. Maybe he did collude during the campaign and is fearful of Putin revealing that information. Maybe he knows Putin has compromising information on him. Maybe the mere acknowledgment of Russia’s role in the 2016 campaign would in Trump’s mind tarnish his electoral victory. I don’t know the answer and I’m not sure I care beyond the obvious curiosity to know the truth. Over the next several weeks, Mueller will likely fill in the blanks, but the larger picture will be unchanged. The president of the United States has for the past two years — and in plain sight — been a de facto agent of the Russian government. No matter what Mueller ends up revealing, that fact will not change, and America will have to come to grips with how we allowed this to happen.